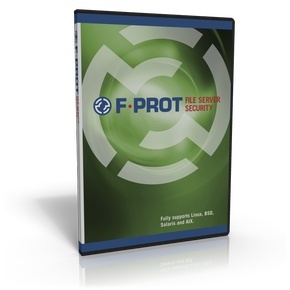 F-PROT Antivirus for Linux File Servers is a high speed virus protection that detects and disinfects or deletes malicious programs intended for file and application servers running Linux. Unknown threats are detected with F-PROT's heuristic ability, thus providing the strongest defense available, which is vitally important due to the large number of users that Linux servers often provide service to. Get your 12 month subscription now! For educational and non-profit discounts, please contact our sales department at f-prot@CYREN.com.